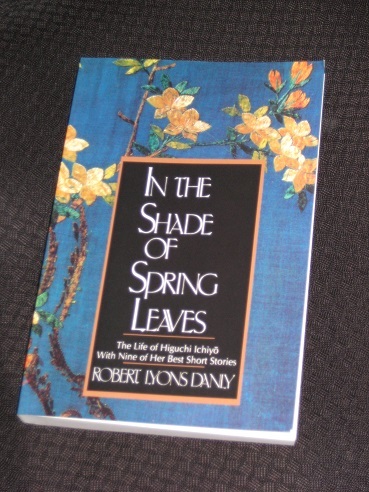 In the Shade of Spring Leaves: The Life of Higuchi Ichiyō with Nine of Her Best Short Stories is American academic Robert Lyons Danly’s tribute to a pioneer of modern female Japan writers. Danly first takes us through Higuchi’s life, starting with glimpses of her parents’ background and moving on to the writer’s own early years in Tokyo. Then he describes her struggles to become a writer against a background of poverty and class struggles. 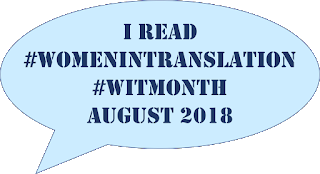 Once we have a clearer image of her life, we get to enjoy some of the fruits of her labour, in Danly’s translations. It’s a fairly hefty endeavour, and one most fans of Japanese literature will be grateful for. Even in her early years, young Natsuko (Higuchi’s original given name) was a bit of a prodigy, studying the classics and reading the newspaper to her father at the age of seven, when most Japanese children would struggle with anything beyond the basic kanji. While her formal education finished early, she was able to attend a poetry school in her teens, and then sought out a mentor for her writing. However, her attempts to become an author were constantly thwarted by her family’s poverty. After her father’s early death, Higuchi, her mother and her sister had to struggle to make ends meet, with jobs cleaning and sewing eating into her writing time. While their move to Yoshiwara to open a shop just outside the pleasure quarters brought her writing to a temporary standstill, ironically it was to be the making of her as an author. The time spent in the midst of chaotic, everyday life helped to complete her, providing the substance to go with her undoubted style. Once the family gave up the idea of keeping shop, the newly-named Ichiyō began to produce longer, more nuanced pieces focusing on the lives of those living in and around the ‘water trade’. This ‘late period’ culminated in her masterpiece, the 1896 novella ‘Child’s Play’, a story which still resonates today. It infuriated her when a reviewer repeated received opinion: “Ichiyō is the foremost woman writer,” “Ichiyō is better than many men.” Why make the distinction? What difference was there, really, between women and men? We are all born with the same hearts, she declared in her diary, we all want the same things. One of the more interesting aspects of the book (for J-Lit aficionados) is its description of the literary scene in the Tokyo of the late-nineteenth century. Initially, Higuchi struggled to make much headway, but once her first stories were published in magazines, she swiftly managed to penetrate the closed circle. Danly introduces some of the big names she meets and collaborates with, such as Shōyō Tsubouchi (a literary critic and author of the highly influential The Essence of the Novel), Shimei Futabatei (author of Ukigumo, the first Japanese novel to take Tsubouchi’s modern ideas on board) and Ōgai Mori, the undisputed literary giant of the era. A mark of Higuchi’s success is the way she quickly became a respected equal, with writers clamouring to meet her. Danly often dwells on Higuchi’s style, the consequence of her background in classics and the many years of poetry lessons. Her early work, in particular, was heavily influenced by the gloomy atmosphere of Heian literature, with myriad references to the classics on each page. One of her difficulties in becoming a published writer came from the need to balance her literary beliefs with the need to write something that people wanted to read, and pay for. Unfortunately, she didn’t always make the best choices when it came to advice about her career. Her main supporter in her early years was Tōsui Nakarai, an editor and writer of serialised novels. He knew what the people wanted, but proved to be a poor choice of mentor, with Higuchi unwilling to sacrifice her literary aims for cheap popularity. In Danly’s view, these diaries might actually be her greatest literary achievement, her compulsive need to put her life on paper producing some wonderful results.